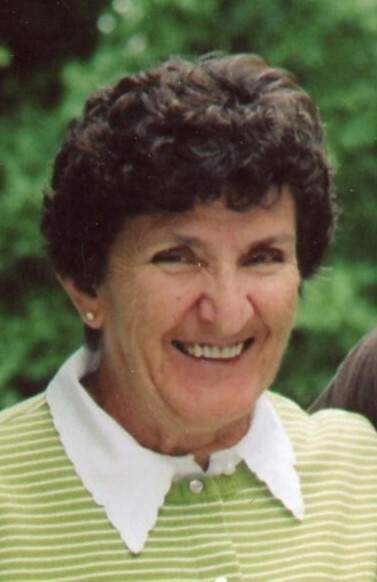 Doris Aurora (Garneau) Vozzella, age 83, passed away in the Madonna Manor in North Attleborough, Massachusetts on Monday, April 1, 2019. Born in Norwood, Massachusetts on January 6, 1936, she was the daughter of the late William and Aurora (Tetrault) Garneau. She was raised in her family home on Common Street in Walpole, attending Walpole Public Schools. During her time at Walpole High School, Doris enjoyed being a member of the field hockey team, before graduating with the Class of 1953. Following graduation, Doris found work at the Norfolk County Savings Bank and later at RCA in Needham. Doris married her beloved husband, Donald R. Vozzella, on March 12, 1955 in Blessed Sacrament Church in Walpole. The young couple made their home in Doris’ childhood house on Common Street, where they welcomed their five children. Doris took on the role of a homemaker, raising and caring for her family. As family was very important to Doris, she and Don loved taking their children camping at Indian Ranch on Webster Lake for 29 years. Once her children were grown, she took a nanny position with the Kraft family in Weston. In her later years, Doris and Don enjoyed wintering in Tarpon Springs, Florida and ventured out on three cruises. They also looked forward to their annual fall trip with close friends, Mert and Barbara Turner. Back at home, Doris loved decorating for the holidays, especially Halloween. She also enjoyed fishing and as an avid football fan; she loved following the New England Patriots. In 2011, Doris and Don settled in Plainville, Massachusetts, where she became active in the Senior Center and the Public Library. Most of all, Doris loved spending time with her family and was delighted at the birth of her grandchildren, always telling them to believe in themselves. Beloved wife of Donald R. Vozzella. Loving mother of Donald R. Vozzella, Jr. of Plainville, Daniel W. Vozzella of North Attleborough, Douglas M. Vozzella of Ft. Meyers, Florida, Diane M. Anderson and her husband, Christopher Anderson, of Norfolk, and Deneen T. Snuffer and her husband, Cliff Snuffer, of Walpole. Cherished grandmother of Olivia Snuffer, Melissa Anderson, Cliff Snuffer, IV, and JD Anderson. Sister of the late Edward Garneau, Victor Garneau, and William Garneau.